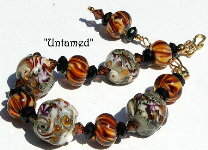 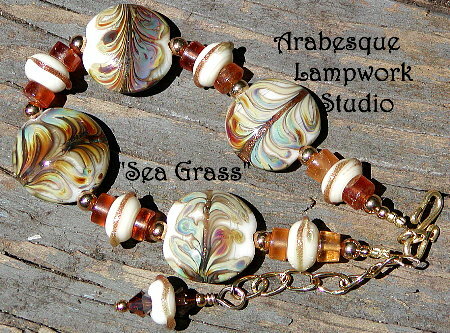 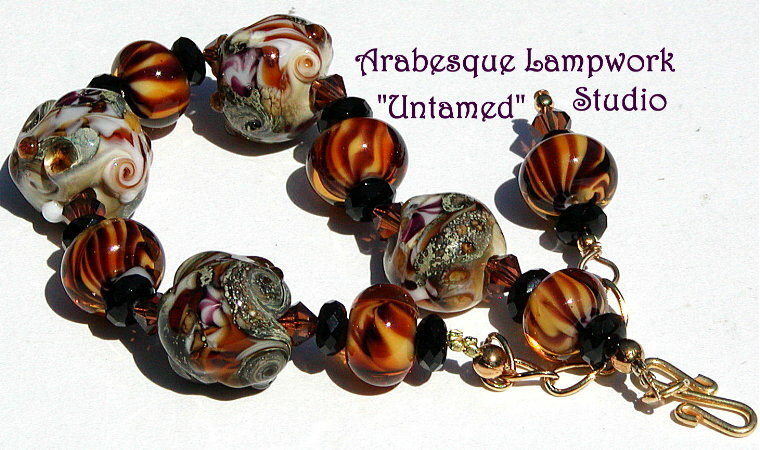 Beautiful handmade lampwork Sea grass lentils...ivory with feathered raku and goldstone wraps...accompanied by ivory and goldstone spacers...to complete this delightful creation I have used real citrine rondelles and GP rounds the clasp is a GP S hook with GP chain on the opposite end to make this bracelet adjustable to a size 8 1/2 inch wrist...as always I can adjust the size if needed at no extra cost. 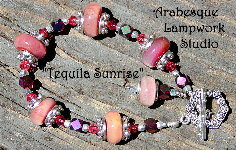 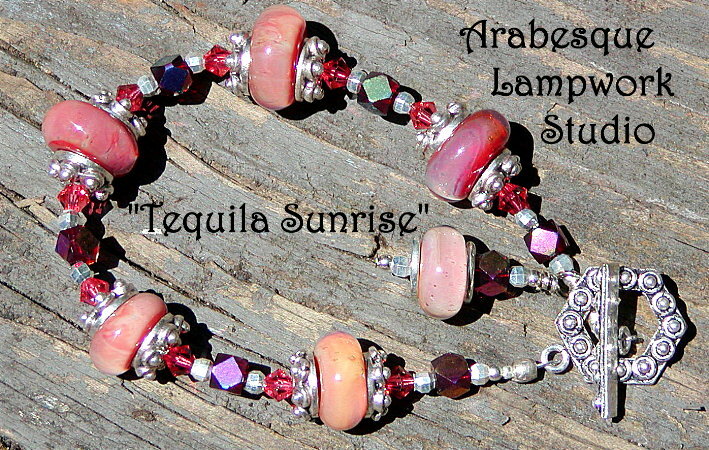 Sparkle, sparkle, sparkle...awesome boro tequila sunrise beads...accompanied with lots of sterling silver...bead caps, wonderful embellished toggle clasp to match the caps and faceted Swarovski cubes and bicone crystals to really catch the eye...an Absolute delightful creation, sure to please...bracelet measures 7 inches. 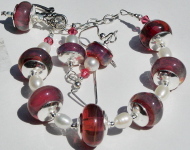 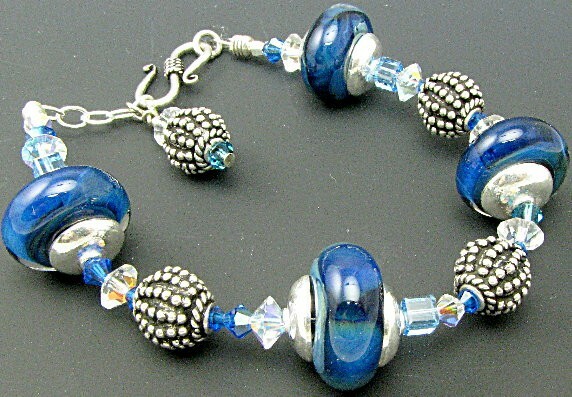 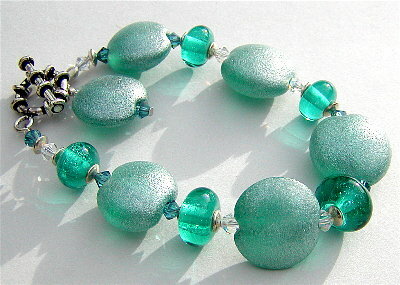 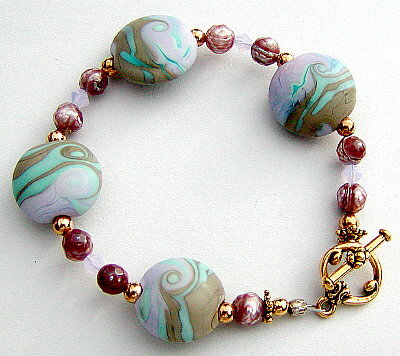 Organic bead based bracelet...one of my favorite styles. 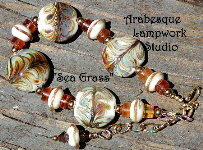 We have 4 very organic nugget shaped focals, with silver foil, murrinis, latticino,on ivory...twisted and pulled for a very unique shape and texture accompanied by 6 encased tiger spacers, topaz Swarovski crystal and black faceted onyx rondelles...GP S Hook and GP chain complete this bracelet...adjustable to a size 8 inch wrist. 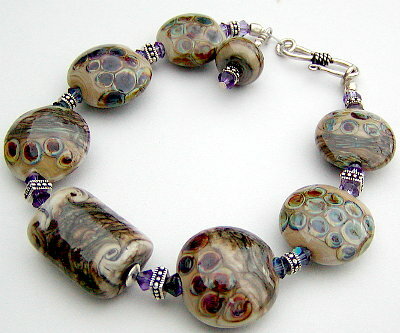 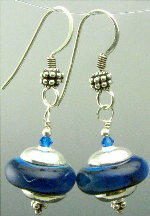 Neutral organic colors...tawny background lentil beads with raku color accents...central focal bead is a kalera shape...strung with swarovski violet crystals and pewter beads, Sterling silver S-hook clasp...with a matching charm for balance...bracelet measures 8 inches.